A manifesto from one of America's most influential activists which disrupts political, economic, and social norms by reimagining the Black Radical Tradition. 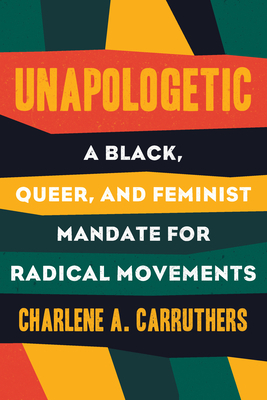 One of America's most influential activists, Charlene A. Carruthers has spent over a decade developing leaders as an effective strategist, community organizer, and educator. She is a Black lesbian feminist and founding national director of the BYP100 (Black Youth Project 100), a leading organization of young activists in the movement for Black liberation. Her work has been featured in outlets including the Nation, NBC News, BBC News, Huffington Post, the New Yorker, Al Jazeera, Ebony, USA Today, and the Washington Post. Carruthers was born, raised, and still resides on the South Side of Chicago.